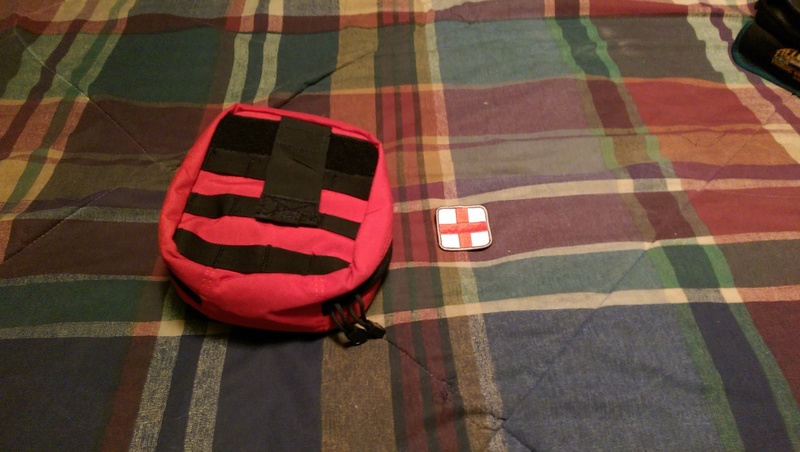 First Aid Kit Upgrade! | Curses! Foiled Again! 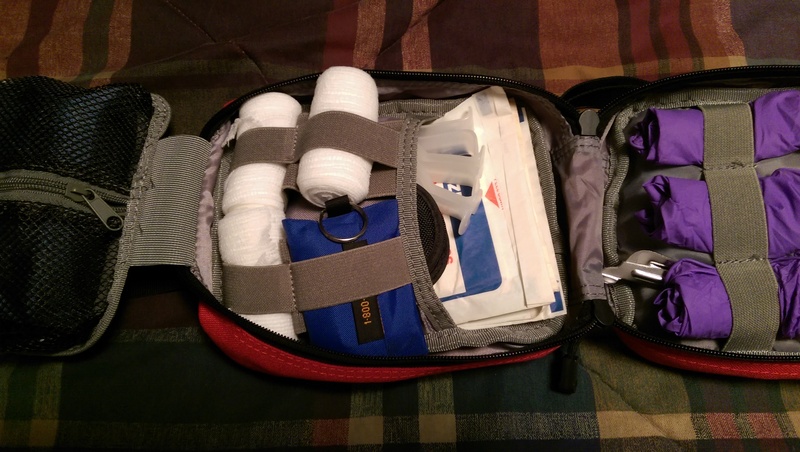 After reading Tam’s post on adding stuff to her first aid kits the other day, and seeing some offerings on Amazon, I decided (after looking at the checkbook and doing some math) that it was time to finally upgrade my current kit. Am I going fishing, or rescuing someone? 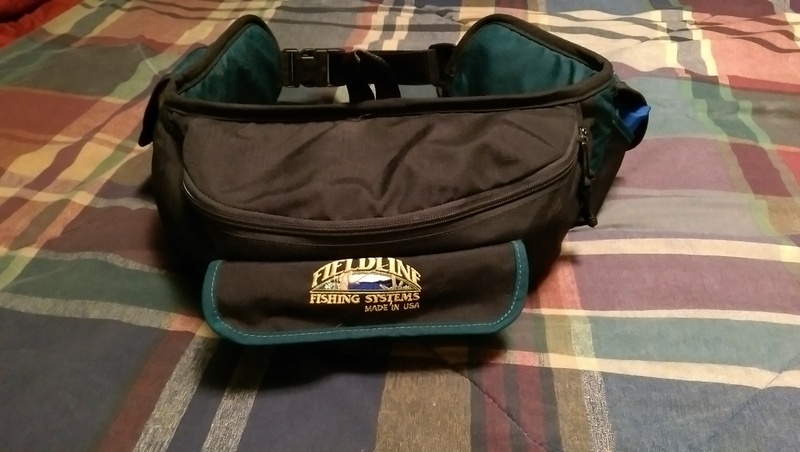 That is actually a fishing pack that I picked up at Wally-World. 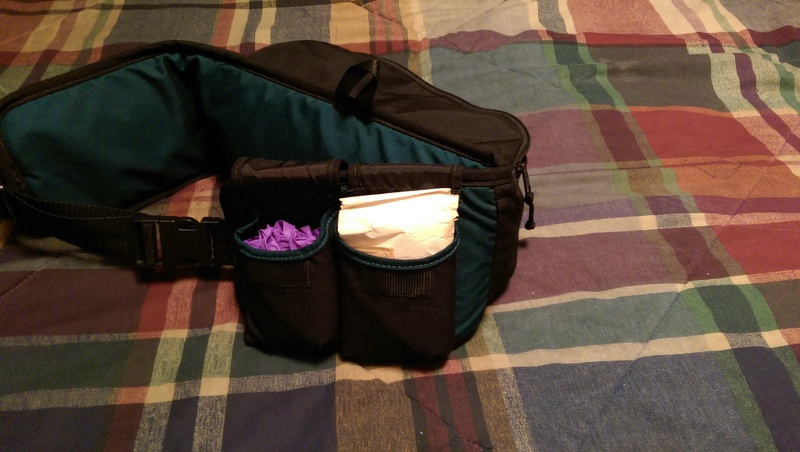 Cheap, portable, and the extra belt pockets allowed a little more organization than most fanny-packs that were available at the time. 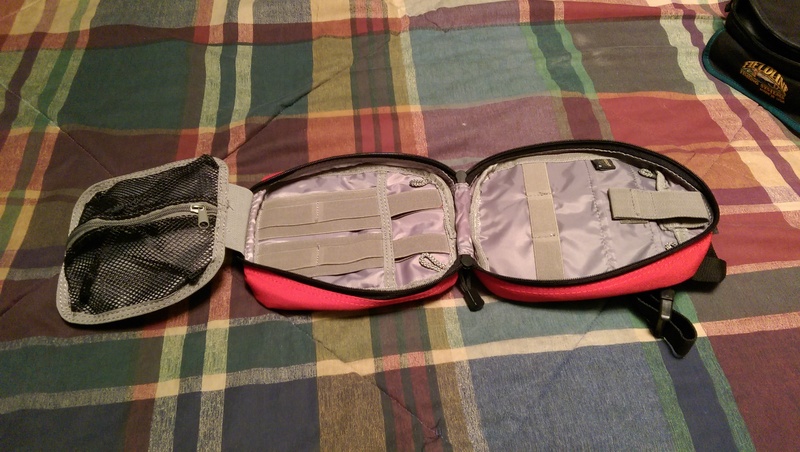 But it’s also bulky, the main compartment has no internal organization, and it’s neither marked as a first aid kit nor is it a conspicuous color. It worked, and it has worked as my in-car kit for over a decade, but it’s far from ideal. Last week, the stars aligned and I ordered this bag as a replacement. 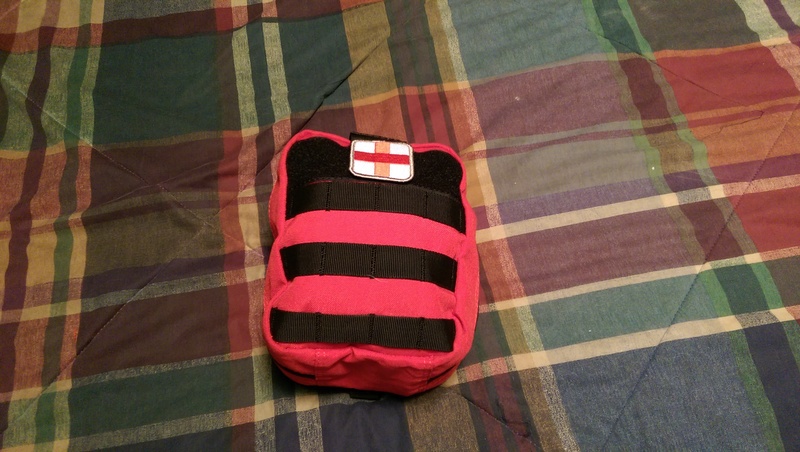 It’s designed from the ground up as a medical kit, has multiple internal pockets and loops for better organization, is a conspicuous color (“Rescue Red”) and can be easily marked as a medkit with a Velcro patch. 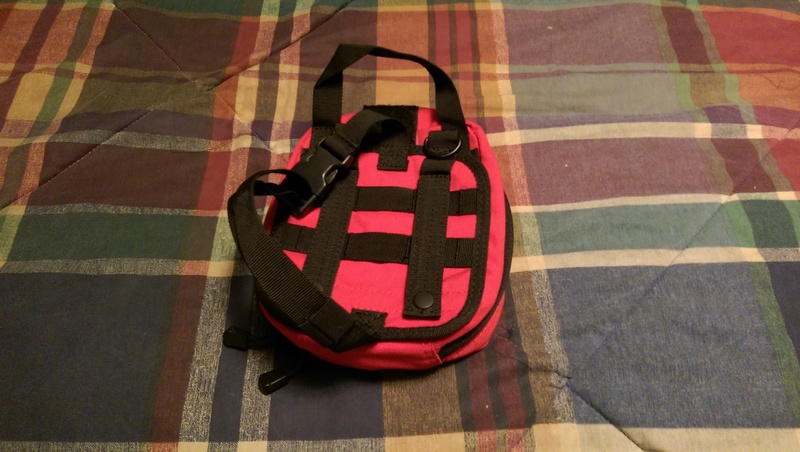 It is a little smaller, with less internal volume, but I also planned on thinning out my inventory a bit, since it’s main purpose is now as an off-duty personal kit. 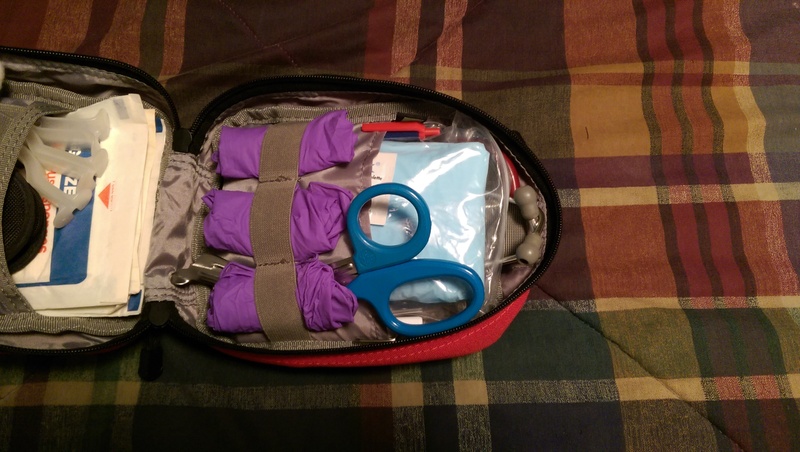 Here we see the new bag open and laid out. It took a little bit of trial and error, but here is the (currently) final configuration. And, here’s the final product! All sealed up and ready to go! Compare that to the layout of the old bag. 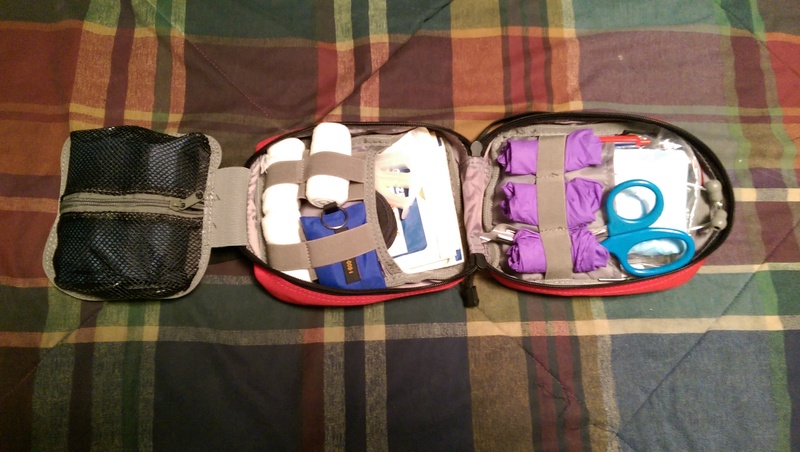 And the main compartment, with everything else just kind of shoved in where it would fit best. Much better! I still need to get a tourniquet and some QuikClot bandages, but I don’t think those will require any significant changes. 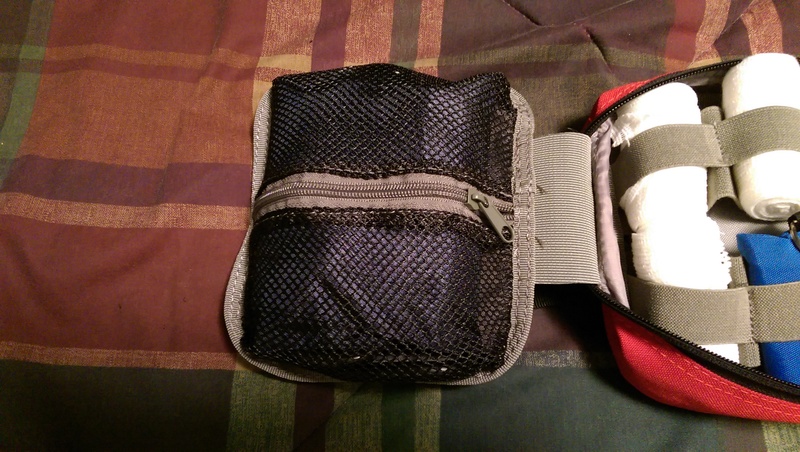 As a bonus, the new bag has a MOLLE/strap-on Velcro mounting “plate”, so you can strap it down in the car or to your gear, but still quickly tear it free when you need it. MOLLE straps for secure mounting, with a pretty sturdy webbing strap with a buckle for attaching to non-MOLLE locations. Velcro mounting for quick and easy removal. Now I just need to get the last pieces and figure out where in my car I’m going to mount it. 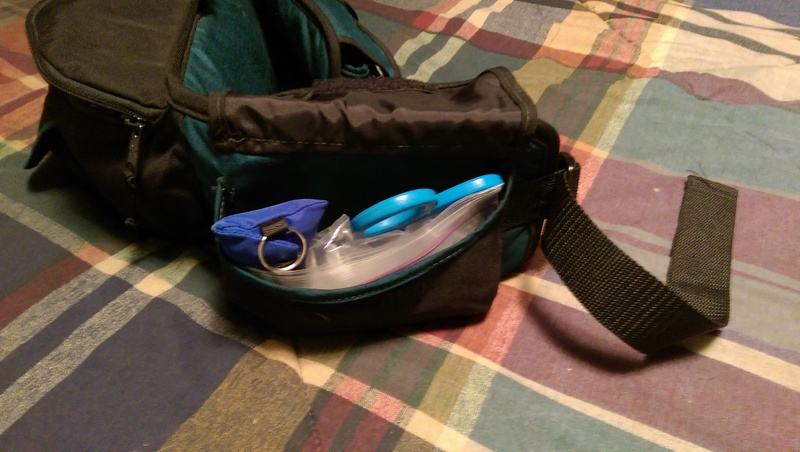 A http://swattourniquet.com/photos.html would fit well in your kit..
It’s one of the options I’m considering. Our local PD carries them in a belt kit, and actually used them to save someone a couple of months ago. The orange SOF Tourniquet that Tam linked to is another option I’m contemplating. Higher visibility is better, for something like this. I need to get with our Supply LT, first. The Squad will fill a personal kit, but I’m not sure if that includes a tourniquet and QuikClot or not. The SOF Tourniquet is the one all the LEOs and State Troopers I work with and our Ambulances use. 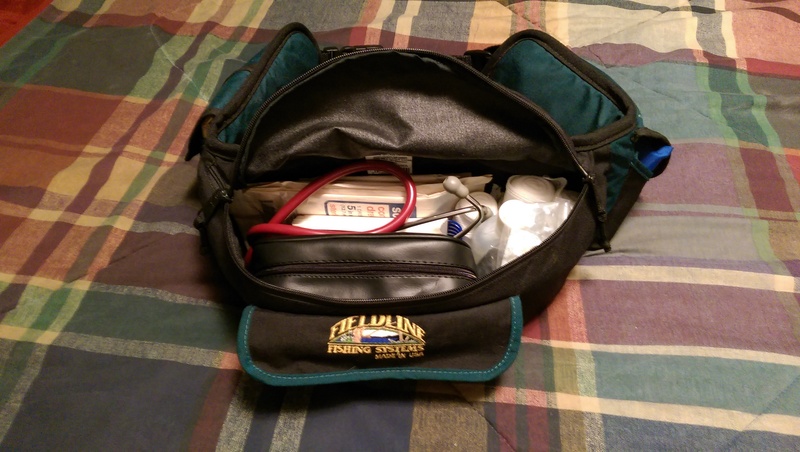 Is a good tourniquet..
And self application is easy as I found out after an ‘incident’ I had in the Boundary Waters a few years back…Good thing I had one..
Nice job in the kit…Embarrassed to admit that as a Medic I do not have one in my car., I have everything I possibly need, but is here and there, somewhere in the vehicle..(My hunting pack, range pack, boat, etc I do have kits) but the car I spend 2 to 3 hours daily commuting in? Honestly, if I can get a SOF-T from the Squad, I’m tempted to still buy a SWAT-T to go with it, since the SWAT-T can also be used with a 5×9 to make a pretty good pressure bandage. 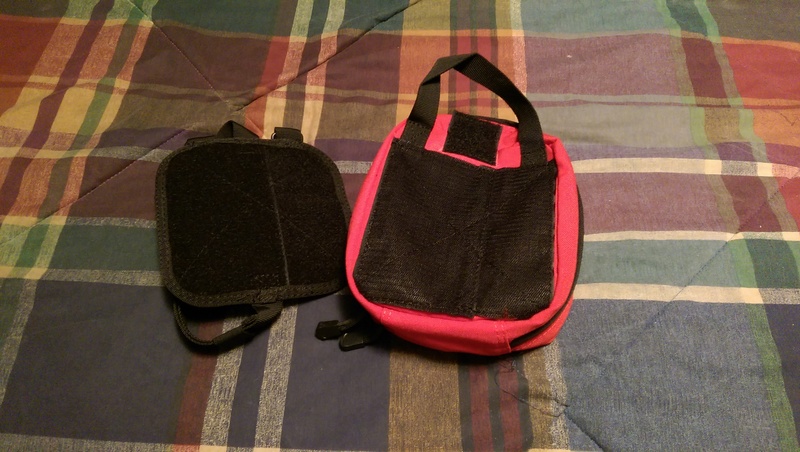 That little MOLLE carrier they show at your link would be perfect, too. I could strap it right to the front of the bag and have a tourniquet and pair of gloves right on the outside. I can’t seem to find one on Amazon, though. Smile! | Curses! Foiled Again!